The Australian owner of Canada’s biggest malt company plans to spin it off, along with its other worldwide malting assets, into a new stand-alone malt industry player. GrainCorp shareholders would get MaltCo shares proportionate to their stakes in GrainCorp if the company completes the demerger as expected by the end of calendar 2019. GrainCorp said it expects annual savings of about $10 million by integrating New GrainCorp’s grains and edible oils businesses, cutting out duplication of costs and corporate functions, plus $10 million in “business simplification initiatives” coming out of the separation of MaltCo (all figures A$). MaltCo, the company said, would be the world’s fourth largest independent maltster, operating malting houses in the U.S., Canada, Australia and the U.K., as well as Country Malt Group, the company’s North American craft malt distribution business. In Canada, those assets are under the purview of Calgary-based Canada Malting, which produces about 400,000 tonnes of malt per year. 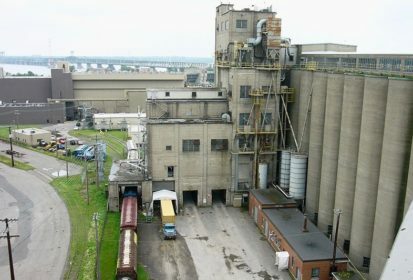 The Canadian assets include malting plants at Calgary, Montreal and Thunder Bay, nine country elevators across the three Prairie provinces, and the Country Malt facilities at Delta, B.C., Didsbury, Alta. and Brampton, Ont. Canada Malting’s history dates back to 1902, when it formed in the merger of three Ontario malting companies. GrainCorp in 2009 bought Canada Malting in a takeover of its then-parent, United Malt Holdings. Calgary-based grain handler GrainsConnect Canada — a joint venture between GrainCorp and Japan’s Zen-Noh Grain — on Tuesday opened its third Prairie grain terminal at Vegreville, Alta. and plans to open a fourth at Huxley, Alta. this fall. In a separate joint venture, GrainsConnect and Winnipeg grain firm Parrish and Heimbecker are building Fraser Grain Terminal, a Vancouver export terminal expected to handle up to four million tonnes of grains, oilseeds, pulses and other commodities per year following its completion, expected next year. New GrainCorp’s plan calls for GrainsConnect to “expand (its) origination footprint n Canada and enable (a) multi-origin service offering to customers in Asia and MENA,” referring to the Middle East and North Africa. “Our portfolio review made clear that these businesses have different characteristics and would benefit from operating separately,” GrainCorp CEO Mark Palmquist, who in the demerger would become MaltCo’s new CEO, said Thursday in a release. Klaus Pamminger, now general manager of GrainCorp’s grains group, would become CEO of New GrainCorp following the demerger.